Vote forRobe, SATop Regional Destinations Which are Australia's must-visit destinations? You help us decide. South Australia's renowned Limestone Coast is known for many things that make it an appealing travel spot; it blends together beaches, cliffs, caves and has an all-around natural beauty - however, the little seaside town of Robe stands out as a must-see destination in its own right for its combination of lovely scenery and delicious seafood. Amongst Robe's various offerings, crayfish/lobsters are a famous regional standout, and as a result one of its most iconic experiences is simply purchasing them outright, grabbing some lemon, then indulging in a relaxed picnic overlooking the wonderful shoreline. Alternatively, those looking to take an enjoyable shortcut can dine in at one of the town's standout seafood restaurants and have the ocean's bounty expertly prepared instead. Of course, making a 350km drive from Adelaide just to enjoy a quality meal would not be a reasonable return on time invested, so it's a good thing Robe and its surrounds have plenty more to offer the aspiring visitor as well. It's a charming part of the state that intermingles some lovely architecture with a dash of history and some quirky boutique shopping, all of which is capped off by a wonderful beach setting, and is a place where taking things easy comes naturally. Long Beach – which lives up to its name with an impressive 17km length – is its idyllic local stretch of sand, and the beach can be driven along for those with a 4WD vehicle, or simply sprawled upon for relaxation-seekers. Swimming here is largely enjoyable too, as the beach offers safe conditions for families as well as some decent surf breaks for enthusiasts. Those sticking to the shore can find enough distinctive features to fill out the itinerary as well, and the town itself serves as a veritable attraction largely in part to its buildings which reflect its status as one of the state's oldest settlements, with many having been beautifully restored. The town's Visitor Information Centre provides a handbook that highlights a course to walk and take in the history along with some additional background on the architecture. Perhaps the most famed of these is the striped obelisk on Cape Dombey which has sat precariously perched on its cliffside location since 1852. Simply walking the Robe region is the easiest way to reveal its charms, and there are a number of excellent walking trails to soak in views of its offerings – particularly the Long-Beach-to-town clifftop walk which sums up the area's beauty in a single trip. Robe's mild climate also makes walking during summer far more bearable, and those who are particularly heat-adverse will find conditions pleasant here. While visitor numbers do tend to swell the population during holiday season, this does not detract from Robe's inherent beauty as a travel spot. Looking to pay a visit to Robe but not sure what to do? Here are some of the most essential experiences. What's new in Robe in 2017/2018? The popular Today Show hosted its weather crosses from Robe's gorgeous Long Beach, putting the spotlight on its natural beauty. 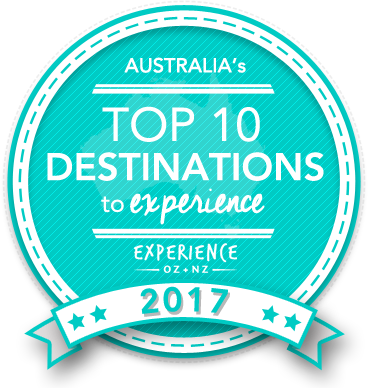 Robe was named one of Experience Oz's "Best Summer Getaway Spots in Australia" during our national content feature. Is Robe Australia's Top Regional Destination to Experience for 2017? Vote now for the chance to WIN an epic trip to one of Australia's top destinations!